Sergeant Rick Clement, formerly of First Battalion, the Duke of Lancaster’s Regiment joined the Army just before his 17th birthday and served for 16 years. Rick travelled the world, on operational tours in Iraq and Afghanistan and on training exercises in Australia and Canada. Rick said he had ‘many experiences, some things were bad, but there was far more good than bad’. Rick says it was a great, great honour to be a Sergeant. ‘You’re almost dad to 30 blokes; something I was very proud to achieve’. On 27 May 2010, Rick was a month into his first tour of Afghanistan as a newly promoted Infantry Platoon Sergeant. Rick stepped on a Taliban IED. He lost his legs and much of his right arm in the blast. He praised the rescue team who took just nine minutes to reach him in a helicopter from Camp Bastion: ‘I owe them my life’. Three weeks later, he woke up in hospital in Birmingham to discover the damage the blast had caused. ‘It wasn’t until I woke up and I realised the extent of my injuries that you’ve got and not just losing limbs…it was difficult. I was stuck in a hospital bed for four months which is just boredom and you start thinking things’. Rick then went to Headley Court to undertake gym work and physiotherapy; he is now able to drive and gets around on a mountain trike wheelchair. 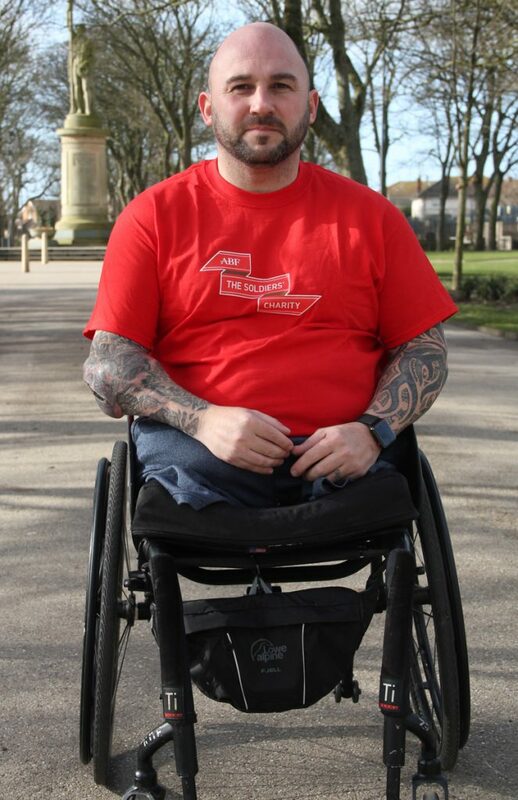 Rick says he does not suffer from PTSD: ‘Thankfully I’ve been able to crack on with my physical injuries’. Rick is now 100% independent and lives alone with his dog. He has recently moved in to an adapted home close to family and friends. He says he goes out with his dog, has a good social life and keeps in touch with military friends.